Voiceover is what I’m all about! Good Female Voice Talent can be hard to find… I pride myself on offering my clients consistent quality, quick turnaround, and clean audio. My voice is best described as youthful, perky, and fun. My “happy place” is copy that is very natural… the type of scripts that “tell it like it is,” with a bit of a smile. That said, I have no qualms cranking it up or toning it down. I work with one casting director in particular, who always puts me through my paces delivery wise and pushes me out of my comfort zone… and it’s always a blast. It’s funny how attacking copy unusually – not going with your gut instinct as to how it “should” be done – results in phenomenal spots… Well that, or very entertaining bloopers. I’d love to connect with you on your next project. Give me a call or email to book a session. I work from an ISDN equipped studio, and am available for voice over, all day, everyday. If my sound is not quite what you're after, never fear! Like I said, we know what it takes to make a project shine - and my voice isn't always the right fit... If you're after a different sound or need full production - Team Setch can accommodate. We work with a network of exceptionally talented voice over talent, character actors, kids, you name it! Take a look at Team Setch Studios' Male and Female Voice Talent... I'm sure our team could do justice to your project or at the very least point you in the right direction with some referrals to other talented voice over actors in our network. Want a little more testosterone in your voice project? Voice Over is a very personal thing. Either people like a voice or they don’t. And the fact is, I am not going to be perfect for every project. If you’re looking for something a little more macho check out Malevoiceover.com, and listen to the voice over demos. We work with a small but elite roster of some of the world’s most talented, flexible and professional voice talents. And guarantee they will deliver the same studio quality, turnaround times and professionalism that I expect of myself. We’ve been working together for years, on all sorts of projects, from Broadcast projects for TV and radio, online “explainer videos” to non-broadcast projects like Corporate Narrations, eLearning, IVR and in arena presentations... you name it and we’ve probably attacked it together. I don’t vouch for just anyone, but these people have my stamp of approval. Just shoot me an e-mail or give Stu or myself a call in the studio at 250-275-4778 and we’d be happy to make a suggestion and find the perfect male voiceover for your project! 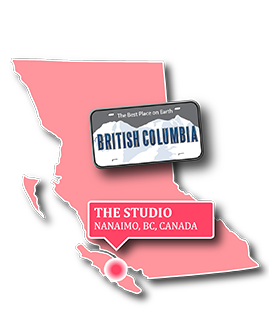 Email me or call the studio at 250-275-4778. 9 times out of 10, my partner Stu picks up the phone. If I’m in a session he’s always happy to answer any questions or set up a booking. Basically, he keeps my poop in a group. One of us will return your email within 12 hours at a maximum (time zones can make things a bit tricky!) But usually you can expect a response within a couple hours. 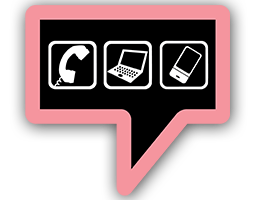 If we’re not able to take your phone call immediately, feel free to leave a message and we’ll do our best to return your call ASAP.